Game Heldric - The Legend of the Shoemaker game PC/Komputer ringan dan pastinya seru game ini mirip dengan Age of Emire ataupun Stronghold. Do you enjoy hack-n-slash but longed for a bit more? Maybe you like tower defense games but find them a bit boring? Heldric is a unique mix of the same old styles of game with a few new twists. A hack-n-slash without endless level grinding. 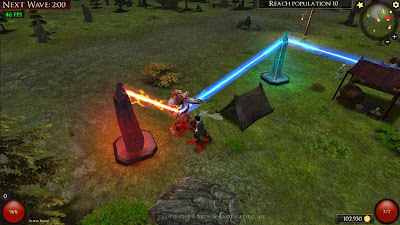 A tower defense game with more action. A game where you don’t play as an epic hero, but as a humble shoemaker who must work together with his fellow villagers to defend their home.